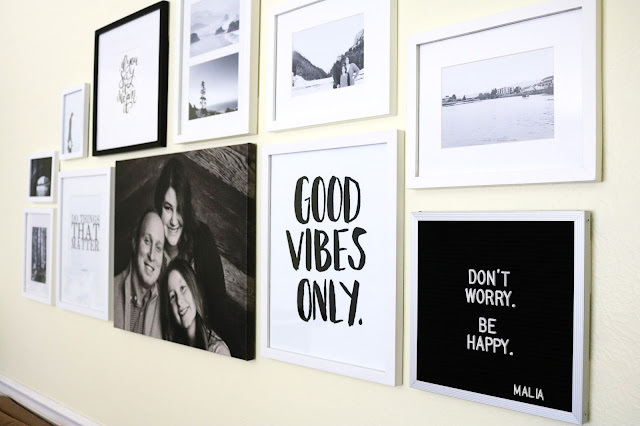 I've been wanting to create a gallery wall in my living room with black and white photos and prints for a few months now, so when Gloment contacted me about creating a custom mantra poster, I knew it was the kick in the pants I needed to just do it already! I don't often say yes to companies who ask me to share their products, but I absolutely love what Gloment is doing and wanted to share with all of you. They are a company based in Berlin and sell gorgeous posters with awesome typography. Recently they started offering customized options and they are awesome. I want to tell you about two of my faves today. 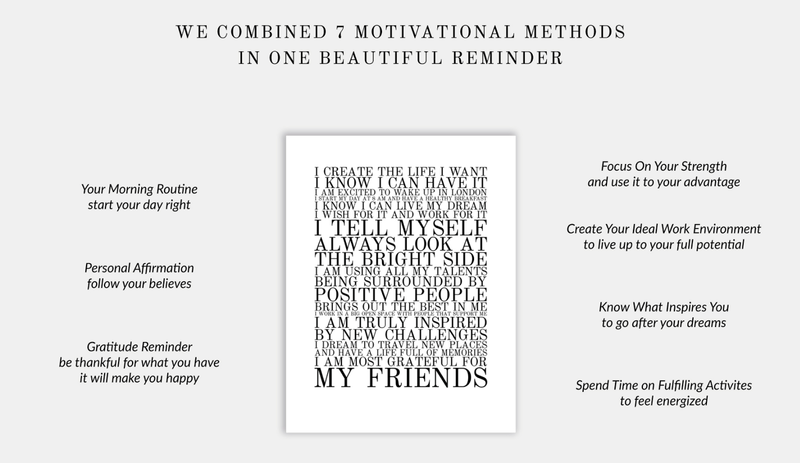 The first, which I ordered, is a custom quote poster. You give them your favorite quote and they work it into an amazing print. 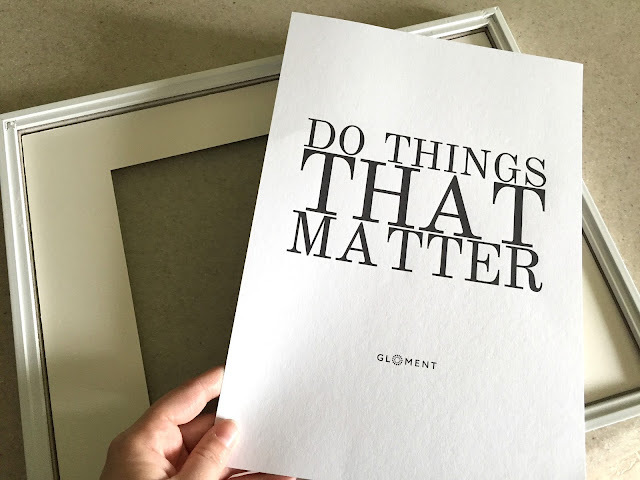 The quote I chose was "Do Things That Matter". The awesome thing is that they send you a preview and if you'd like the words to be arranged differently you can tweak it a few times before finalizing it. You also have the option of having them print it and send it to you or you can just get the jpegs and print them from anywhere yourself. Cool. Here you can see it from another angle. I really love the way it turned out! The other poster option that I wanted to tell you about is a really cool concept and I plan to order one for my office/studio. It's called a Vision Poster. 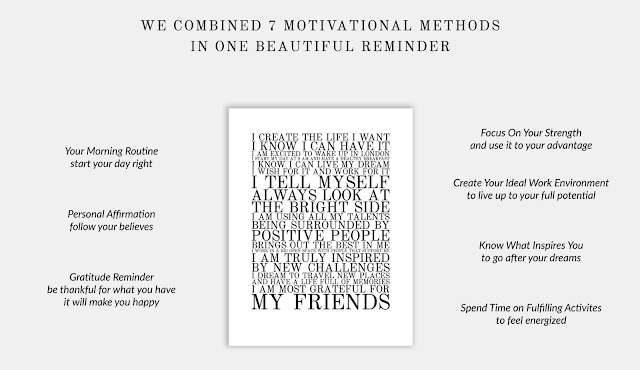 You basically answer a bunch of questions about your values and the things that are important to you and they create a visual reminder of what motivates you. How awesome is that!? I hope you'll check it out. They have lots of customized options as well as beautiful pre-designed products. You can find all of the goodness on their website here. Gloment is offering my readers a 10% discount, so if you order a poster of your own be sure to enter happy-jenschow at checkout! I love this. 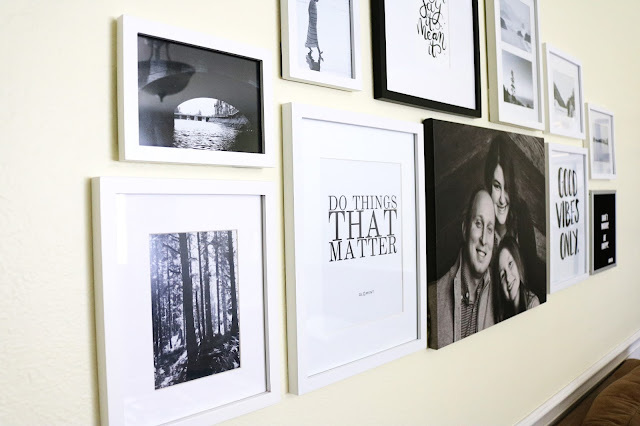 I really want to do a gallery wall. I need to stop procrastinating and just do it!